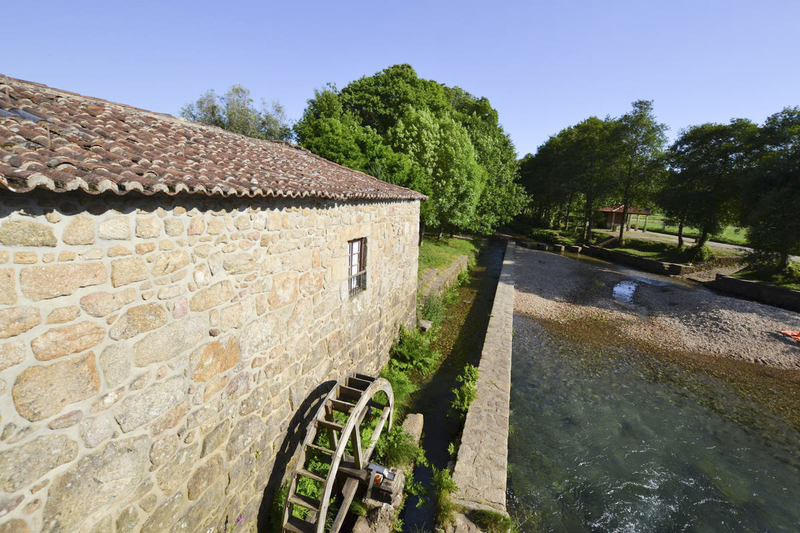 With a fully working mill and waterwheel and a delightful interior, Villa Estora offers an utterly unique and cosy home on the riverside. 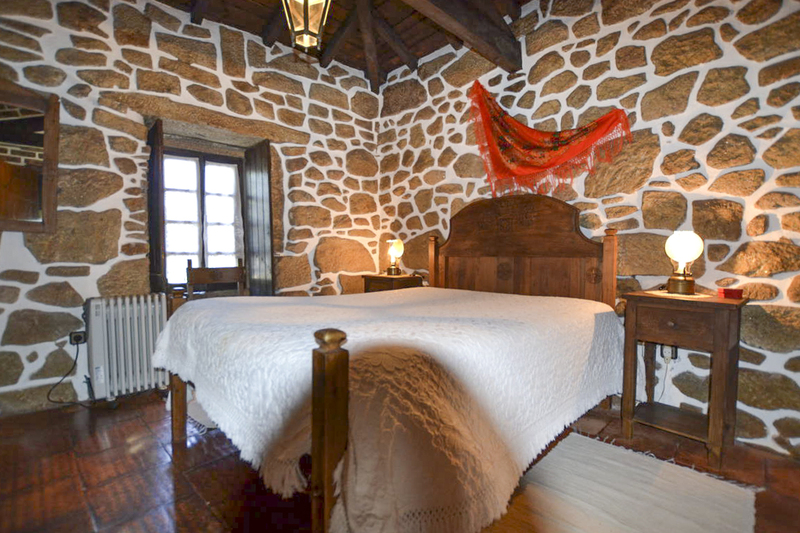 This romantic getaway home is anything but ordinary – the working mill itself has been preserved while the rustic stone walls and tiled roof are evidence of the careful restoration completed in 1983. A cosy and spacious interior welcomes you inside the villa. The furniture is made from high-quality wood and includes a charming dining table, a comfortable bench and a small coffee table surrounded by chairs. There is an open fireplace where you can enjoy a log fire on a cool evening. 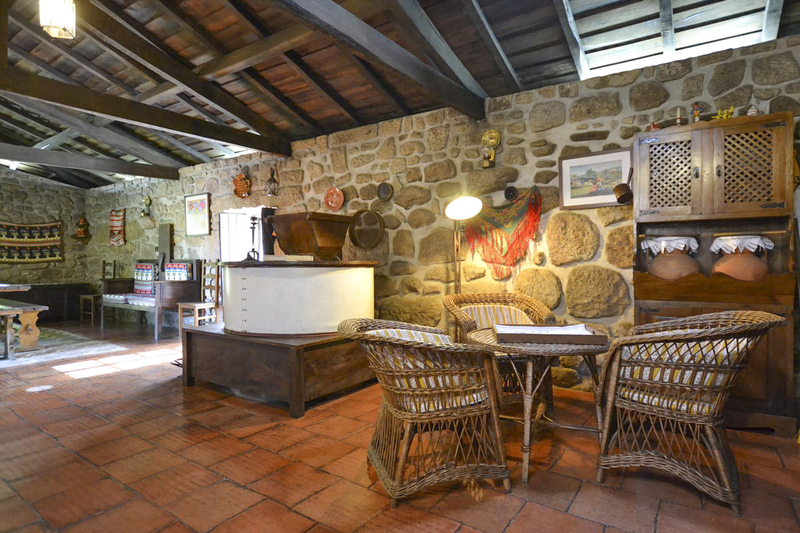 Traditional, colourful patterned items adorn the walls, complementing the rustic stone behind them and the exposed wooden beams in the ceiling. 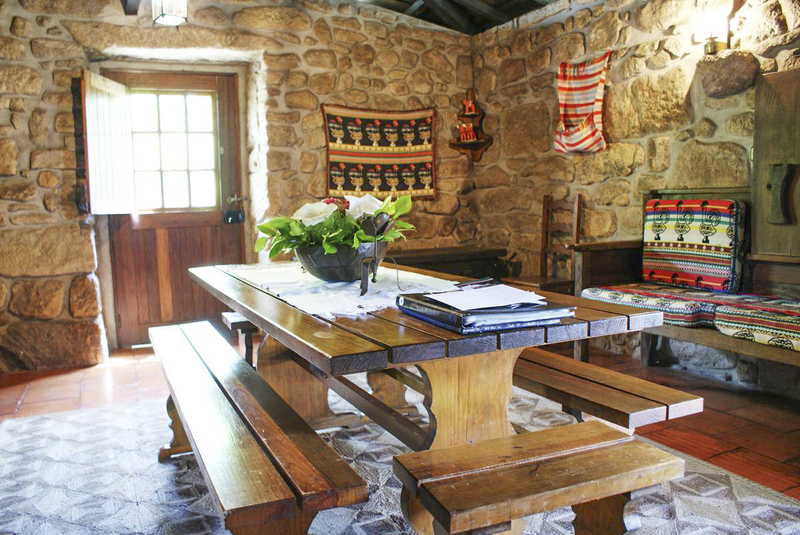 There is a fully-equipped, wonderfully traditional stone kitchen to ensure that you’re able to prepare your meals when you don’t fancy the lovely restaurants nearby. The beautiful living area overlooks the gentle river running below via a set of balcony doors. There is one bedroom with a delightful solid wood bed frame and a matching set of bedside tables, also enjoying an extensive collection of windows looking out to the beautiful scene below. The spacious bathroom includes a shower, WC and bidet. 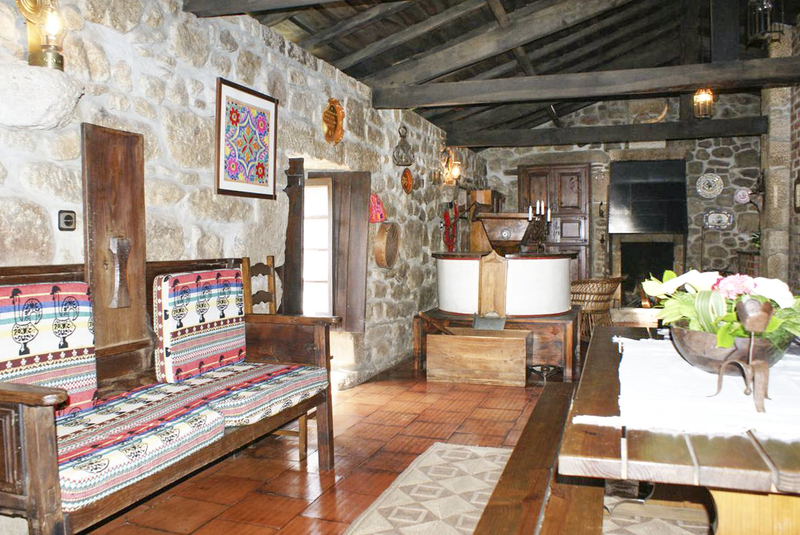 The design is rustic and charming like the rest of the home and is thoroughly clean and pleasant. 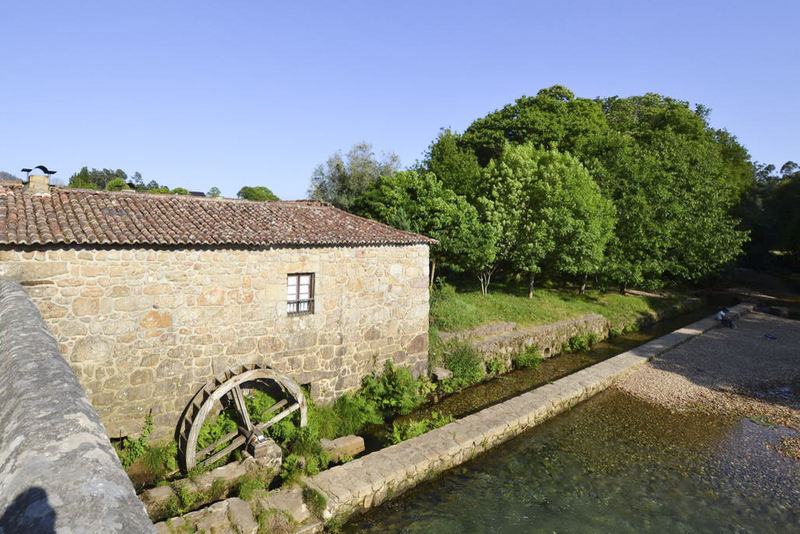 Of course, the most exciting part is what’s beyond the four walls of the villa, with an original working mill and waterwheel joining the home to the river itself. 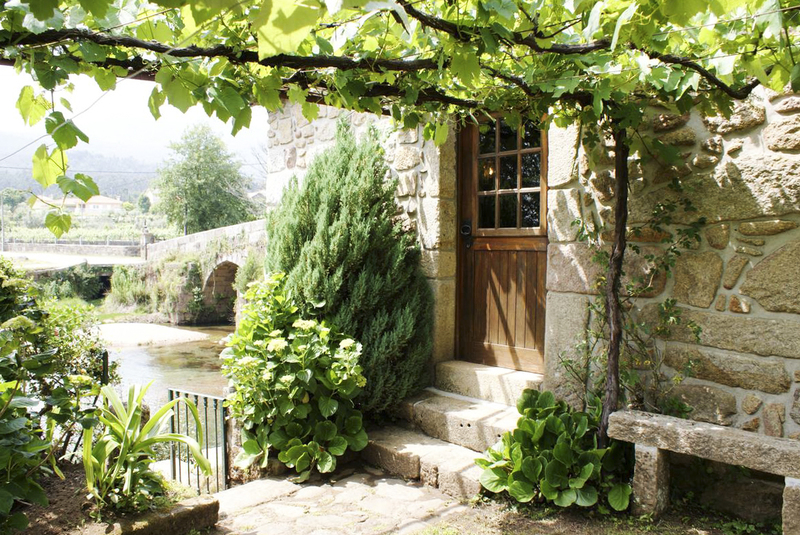 The villa is one of only a handful of old granite and more modern houses which line the stream to create something of a small community here, connected by the quaint Roman bridge. The Arga mountain range is the perfect backdrop to this charming village, offering many opportunities for exploring nearby whether on foot or by bikes which can be rented across the region. At 7.8km from the nearest town, Villa Estora will allow you to enjoy the real lifestyle of rural Portugal and taste the clean air of the countryside while retaining some available amenities. Enveloped in vineyards and rolling hills of green, Villa Estora is located in the beautiful Minho region, in the foothills of Serra da Arga mountains. 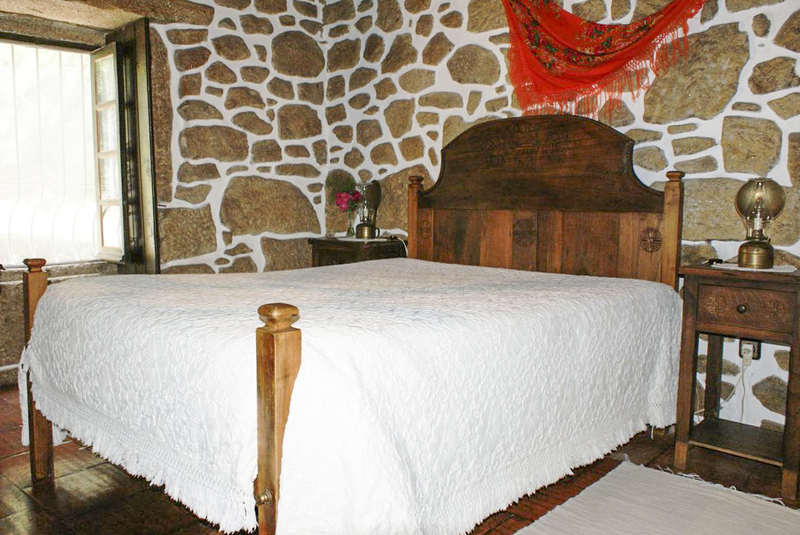 Situated near to the spa town of Gerês, the traditional village of Lindoso and the beautiful old village of Ponte de Lima, you are ideally located to enjoy the quaint communities as well as the slow pace of life of rural Portugal. The town of Braga, the capital of the district, is about 35 minutes away and hosts many relics of the region’s diverse history. 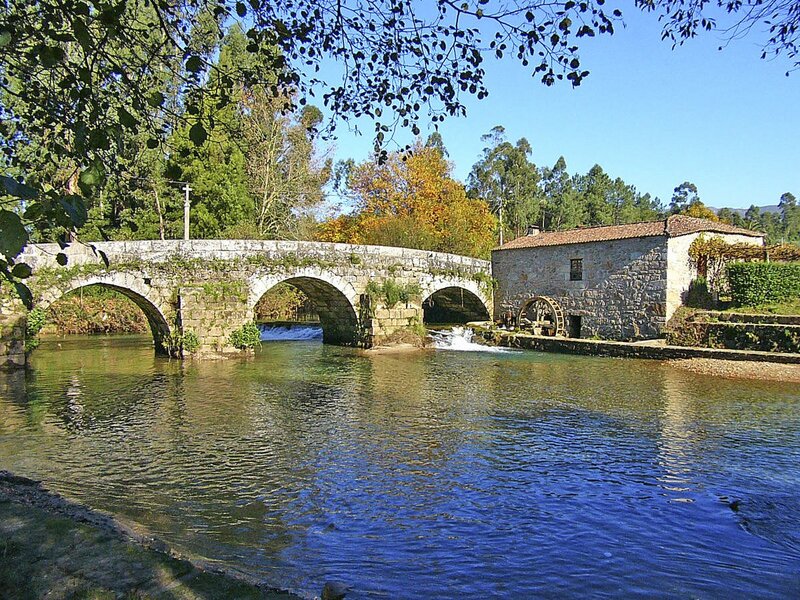 Minho is a fantastic, mostly rural region on the northernmost Atlantic tip of Portugal, bordering the Spanish region of Galiza, with which it shares many attributes. Minho is perhaps most famous as the home of the Vinho Verde, a crisp, dry white wine (although as the name suggests, it is, in fact, green!) best enjoyed with a local fish dish. Very lovely, and very affordable. Minho is particularly special as it features the country's only National Park, the Parque Nacional da Peneda-Gerês, which is less than half an hour from Villa Estora, with around 72,000 ha of land. It is a mountainous nature reserve that includes prehistoric remains, walking trails, rugged hills as well as deer, wolves and golden eagles! Portugal itself is a small, fascinating country at the most Western point of mainland Europe. The capital, Lisbon, is known for its lively nightlife, with endless bars and clubs full of fun-loving locals and tourists alike, but also has plenty of fascinating history (check out Belém, jam-packed with monuments!) and undulating terrain, famously termed the ‘city of the seven hills’. From Lisbon, it is very quick to travel by the domestic high-speed train line to the city of Braga, which will connect you reasonably quickly to Villa Estora although both Porto and Vigo airport is within 40 miles! With a vast coastline with the mighty Atlantic Ocean, Portugal is a real paradise for the keen surfer, or indeed even those looking to try it for the first time. And for those less keen on surfing, the beaches of Portugal are still well worth a visit for their beautifully clear waters and beautiful sands.